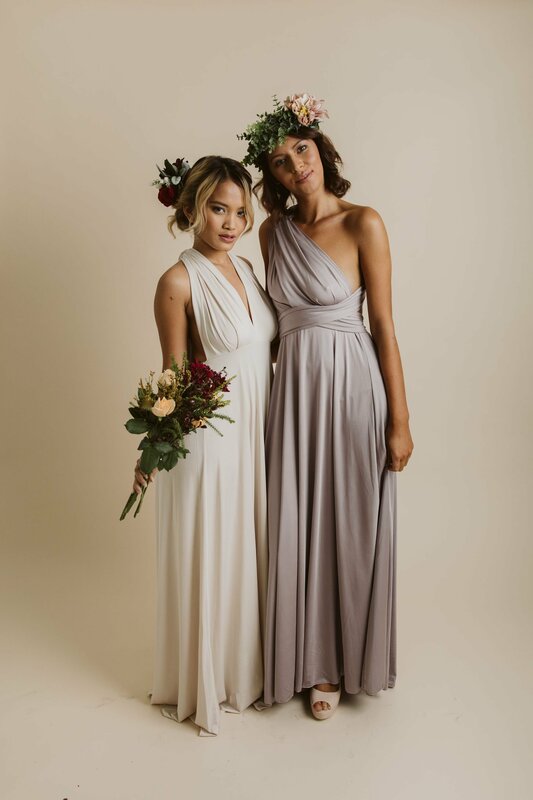 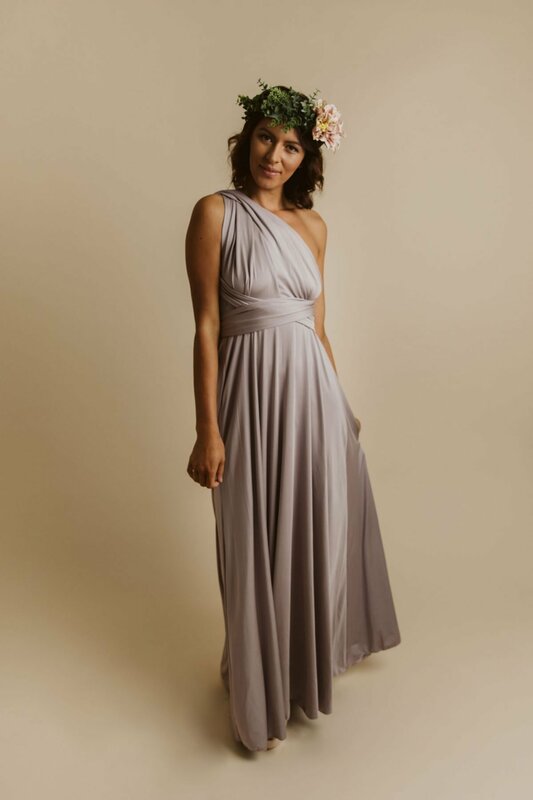 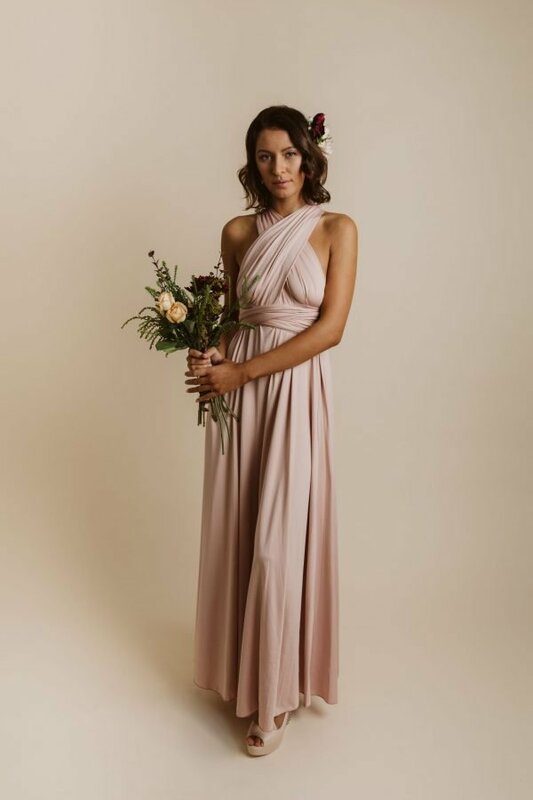 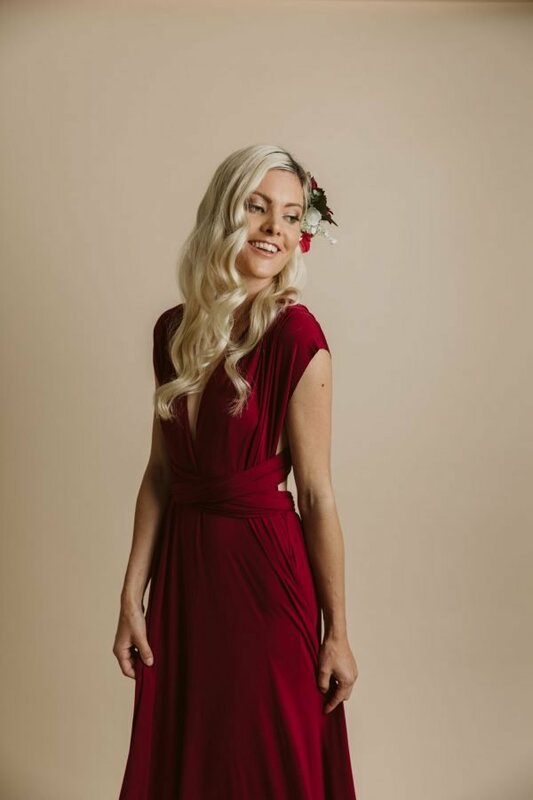 Our Evelyn Multiway Maxi Dress in Dusty Purple is made with polyester-spandex fabric that is oh-so-comfortable to wear and the stretchy fabric will allow you to twirl on the dance floor all night long! 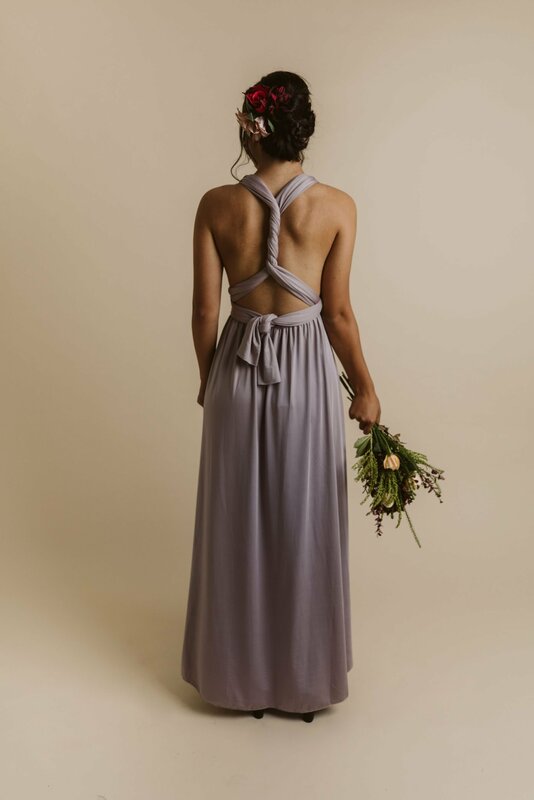 It comes with two long straps that can be twisted and turned in many ways to produce various styles. 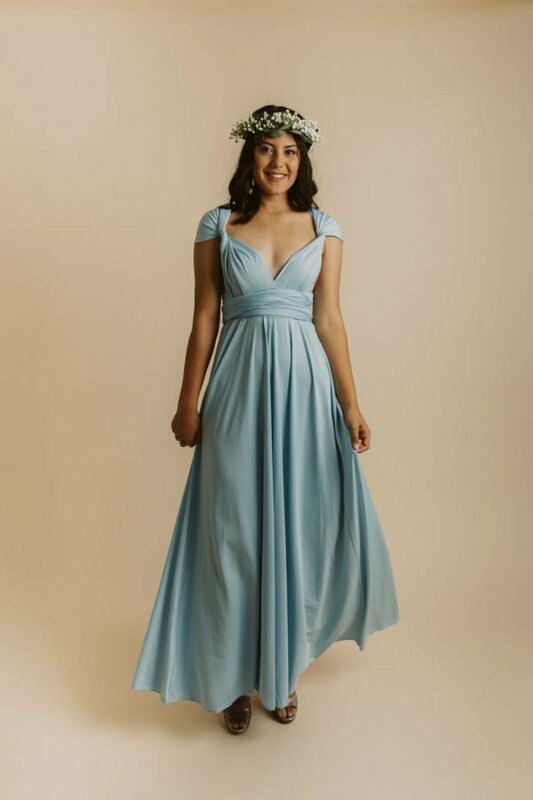 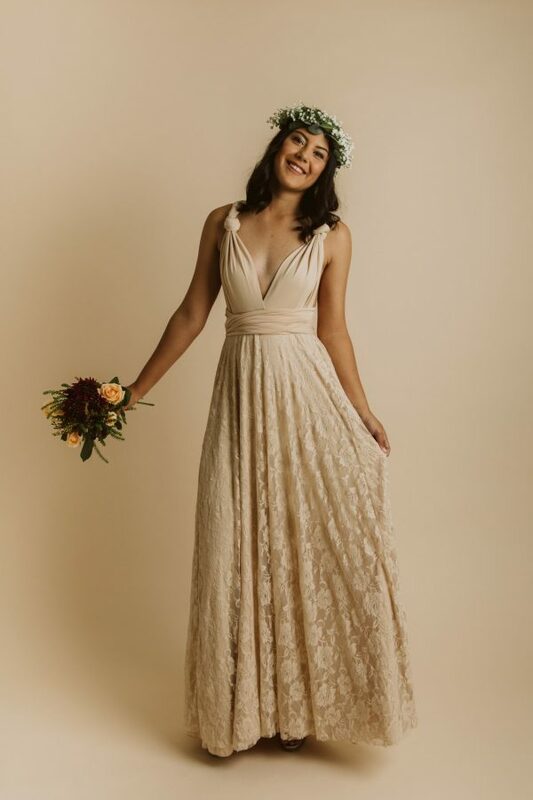 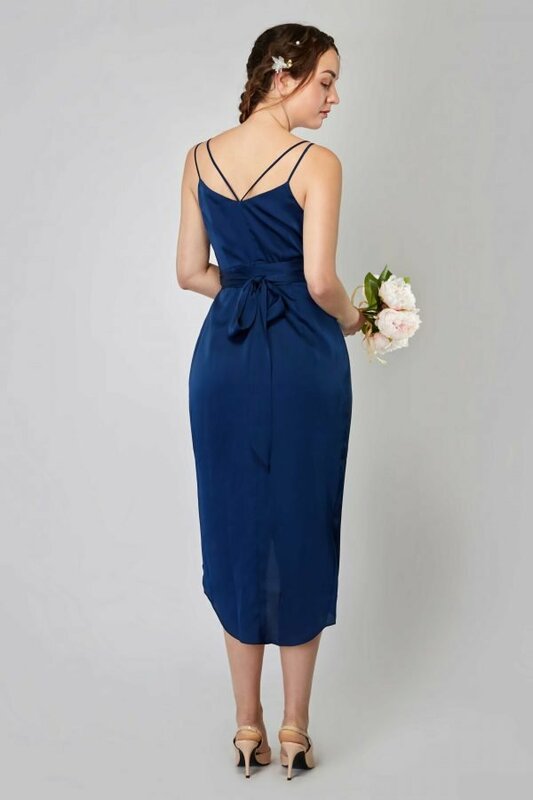 These versatile yet creative Twist Dresses are definitely the choice of every bride/bridesmaid for the various benefits they offer. 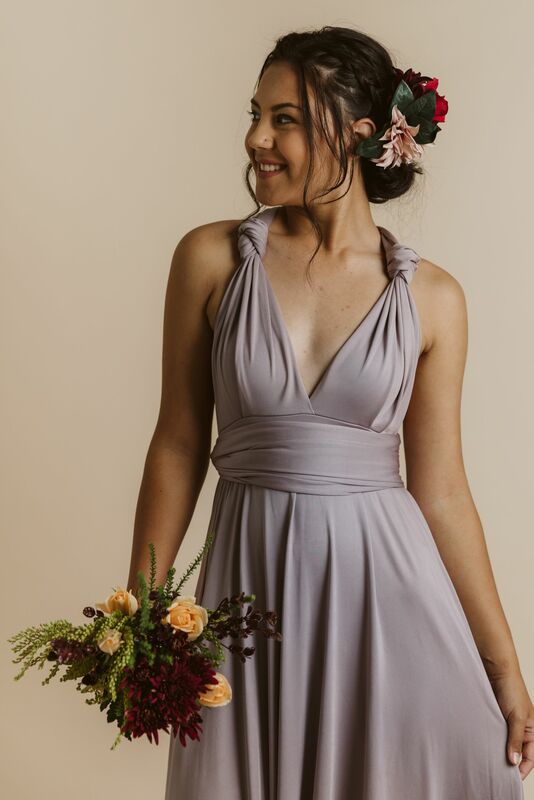 Chelsea is usually a size 8 and is wearing our Dusty Purple Evelyn Multiway Maxi Dress in “One Shoulder” style.